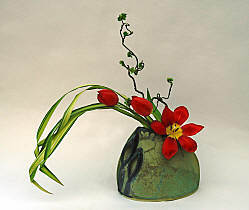 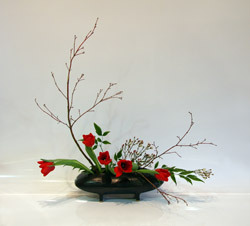 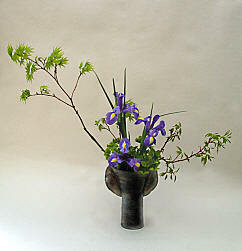 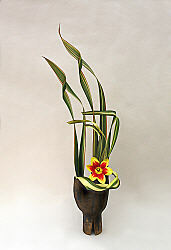 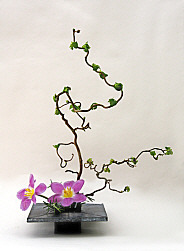 These designs are in the Sogetsu style of Ikebana. 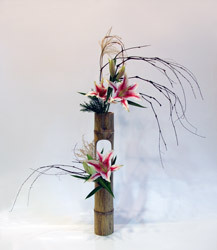 Click on the pictures below to see an enlarged picture and a description of the plant materials and mechanics used for each one. 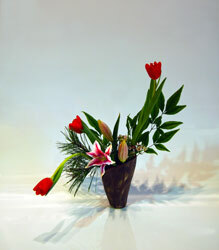 Words and pictures © Chrissie Harten, 2007/2008.